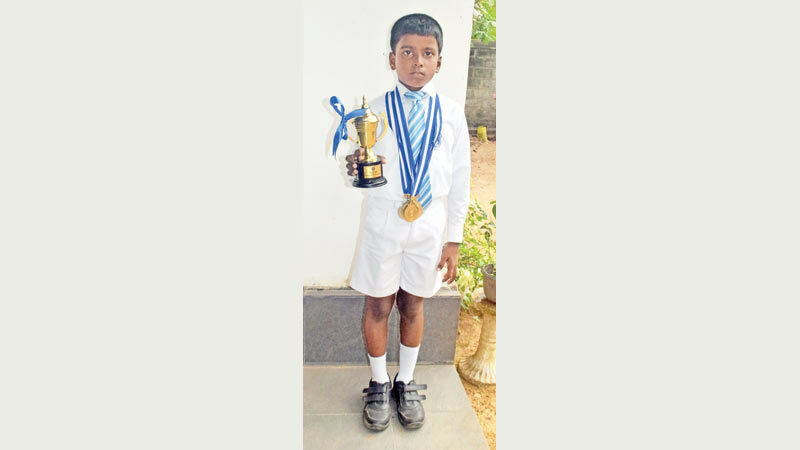 Mario Nipunith Perera won the Under 9 Championship at the St. Joseph’s College, Colombo Primary Sports Meet held recently at the school grounds. Mario is a grade 3 student and an active member of the Wewala, St Xavier’s Church Daham Pasela and hopes to do better in both sports and studies. Here Mario Nipunith Perera with the championship trophy. Text and picture by Leslie Perera, Ja-Ela Central Corr.